Home decorations from SS Nautical.com offers a variety of products. Some items inclue wall decorations, indoor/outdoor clocks, thermometers and more. Decorating your home with a nautical theme became really easy. Choose the item you are looking for and add it to your cart today. Products made of rust-free, cast aluminum, and finished with durable, weather-resistant finishes. Turn your house into a home with home décor from SSNautical.com! Compass Rose Wall Decoration. Cast aluminum wall decoration. Choose out of three finishes. Bronze Verdigris, Classic Copper, or Oil Rubbed Bronze. Nice wall decoration with for that nautical theme. The coastal style of the Seagull Trio Home Decoration will add a refreshing nautical feel to your indoor or outdoor living space. Cast aluminum protects against the harshest weather and environmental elements. 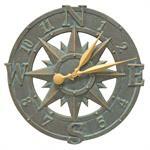 16" Aluminum Compass Rose Wall Clock detailed nautical design. Wall clock adds a pleasant nautical touch to your indoor or outdoor living space. Your choice of finishes between Bronze Verdigris or French Bronze. 16" Crab Wall Clock adds a nautical style for your indoor or outdoor living space. Features a handmade, premium grade aluminum casting that showcases an intricate, detailed nautical design. 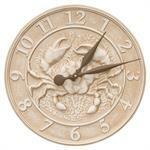 Crab wall clock comes in a weathered limestone look. The nautical style of this 18" Palm Wall Clock will add a pleasant nautical touch to your indoor or outdoor living space. Features a handmade, premium grade aluminum casting that showcases an intricate, detailed nautical design. 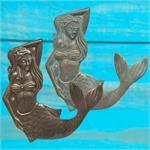 Add a splash of function and charm to a poolside patio or pool house with our Mermaid Hook! It is perfect for hanging towels. 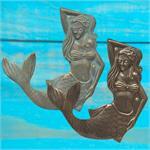 Mermaid Towel hook facing left, makes for a nice home decoration! Add a splash of function and charm to a poolside patio or pool house with our Mermaid Hook! It is perfect for hanging towels. Mermaid Towel hook hangs right, makes for a nice home decoration! 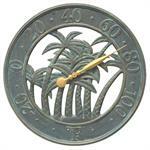 This 18" Palm Wall Thermometer adds a pleasant nautical touch to your indoor or outdoor living space. Features a handmade, premium grade aluminum casting that showcases an intricate, detailed nautical design. 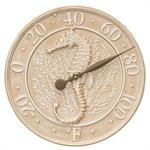 Seahorse Sea Life Indoor / Outdoor Thermometer is 16" in diameter. Features a handmade, premium grade aluminum casting that showcases an intricate, detailed nautical design. Seahorse design with a cast aluminum limestone finish. 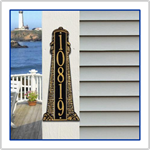 The coastal style of the Palm Tree Welcome Plaque will add a nautical touch to any indoor or outdoor space. Made in the USA. Choose from four different finishes, Bronze / Gold, Antique Copper, Black / Gold, or Bronze Verdigris.